November 13, 2009: Head of the Association of Senates, Shoora and Equivalent Councils in Africa and the Arab World. 1989 – 1992: Head of Department at the Medical Clinic “B” at Ibnou Rochd University Hospital Center. Published many scientific articles in the fields of medicine, anthropology and political science. During his mandate as Minister of Health, Dr. BIADILLAH supervised numerous structuring reforms in the Healthcare sector. Founder member and President of the Association of Sahara Parliamentarians. Order of the Throne, Officer (1991). Cross pro Merito Melitensi (Sovereign Military Order of Malta, 2000). 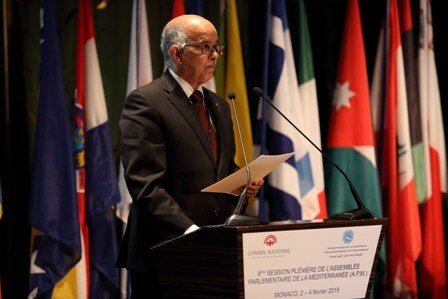 Member of Moroccan delegations in about twenty UN sessions, seven OAU sessions (current/became AU), and numerous inter-parliamentary organisations’ sessions. H.E. JUAN ORLANDO ALVARADO, President of Honduras (January 2014).